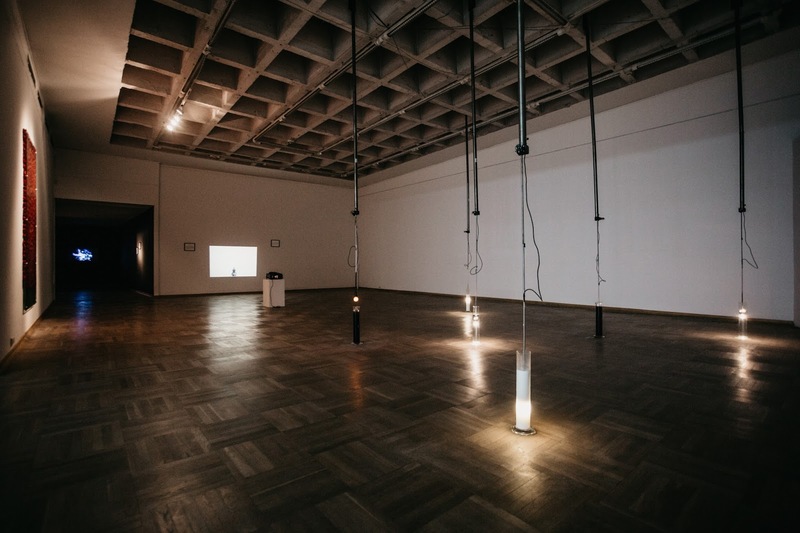 At the turn of the fifties and sixties Gustav Metzger developed, in a series of manifestos, the concept of auto-destructive art, supposed to become the social form of artistic activity in the post-industrial era. 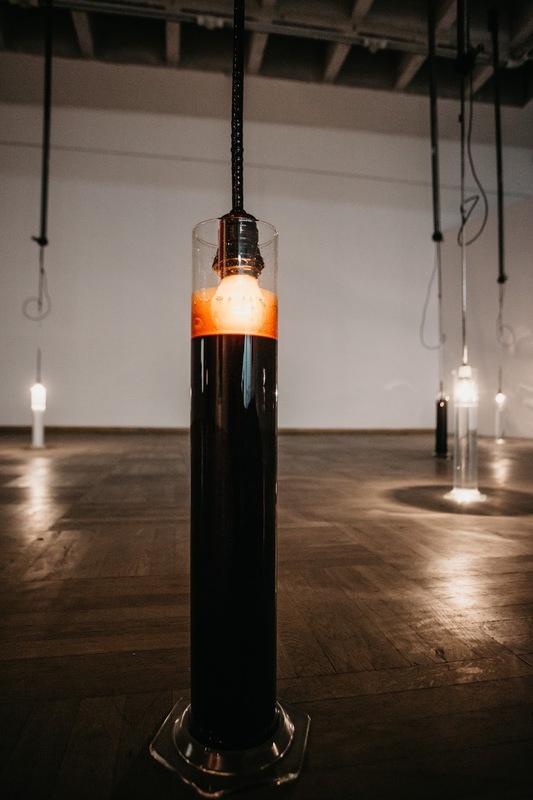 In his practice he was translating it into acts of annihilation of artistic objects, taking advantage of deficiencies of media, mechanical force and caustics in doing so. As the artist suggested, “Auto-destructive art is art which contains within itself an agent which automatically leads to its destruction within a period of time not to exceed twenty years. Other forms of auto-destructive art involve manual manipulation. There are forms of auto-destructive art where the artist has a tight control over the nature and timing of disintegrative process, and there are other forms where the artist’s control is slight.1” It was not long before the concept of auto-destruction merged, in the author’s perception, with auto-creation of works: “Auto-creative art is art of change, growth, movement.2” Nearly a decade after Metzger’s notions John Baldessari put forth, as the next work of his own, cremation of his artistic output to date. At once he emphasized, to an extreme extent and most accurately, the creative aspect of destruction. According to philosopher Alain Badiou, destruction constitutes one of the aspects of the phenomenon of negation, precisely that which has a negative nature indeed.3 The other factor, opposite and complementing it, is subtraction. Destruction, here, means action intended to tear down the established order, which controls how certain areas of reality are created and perceived, as well as to eradicate its physical manifestations. Such destructive acts at the same time herald a reorganization of realities, effected—as the negated features are subtracted—outside the laws governing former states of affairs. Damage, therefore, carries with itself a promise of creation, for a complete concept of negation covers both the destruction and the creative subtraction that follows. Artists, today, are not avoiding the use of materials likely to disintegrate by nature—they do arrange situations that cause damage to, or accelerate the decay of an object. 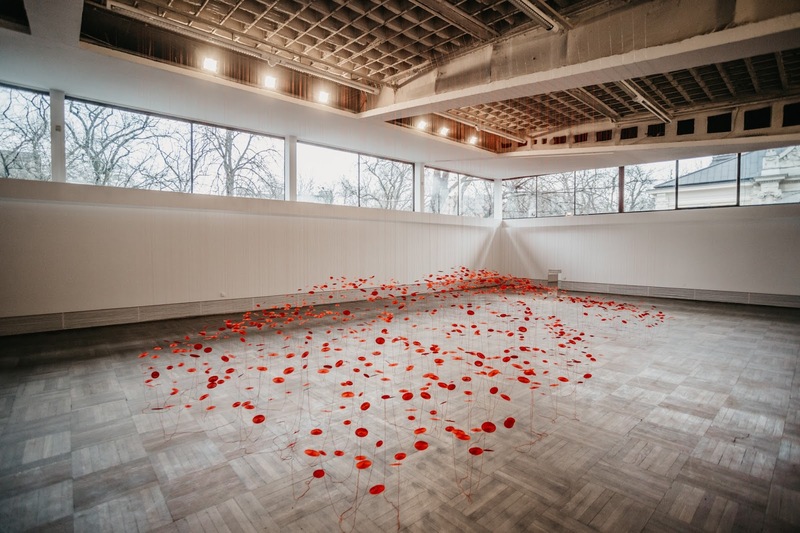 Not many of them, however, embark upon as radical activities as Baldessari or Metzger have undertaken, welcoming a total annihilation of their works. 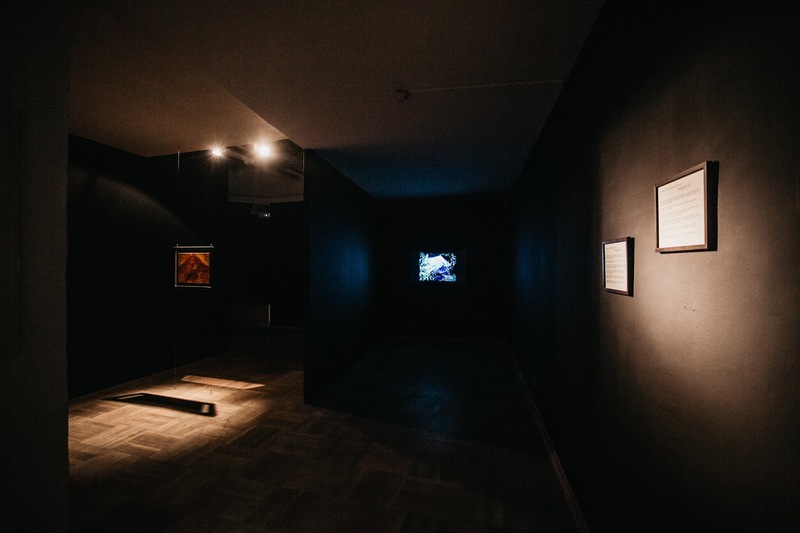 Few allow for a progressing or partial destruction of original productions, and whoever does so evidently stresses their past presence by way of documentation or remains meant to represent the pieces at exhibitions. Looped processes aimed at auto-destruction of physical objects are more common—such artworks last in change, disappearance and return. The production of contemporary art assumes its continued reproduction. This strategy corresponds to Badiou’s observations, for in his view, the current century is a time of creative, and not destructive negation. 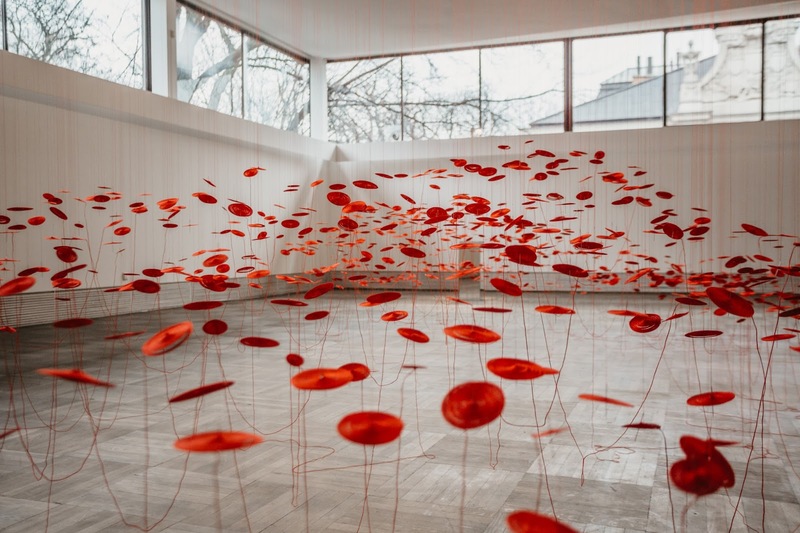 Artists who follow the direction of art not focused on permanent artefacts do not necessarily celebrate the incorporeality or gradual passing of their works. Fading augurs well, above all else, for reappearance; loss, for compensation or new creative circumstances. What is subject to transformation or dying out, comes back around, at times in an altered state, shape or location. This resembles the functioning of a closed system, where a balance is maintained despite continual shifts. 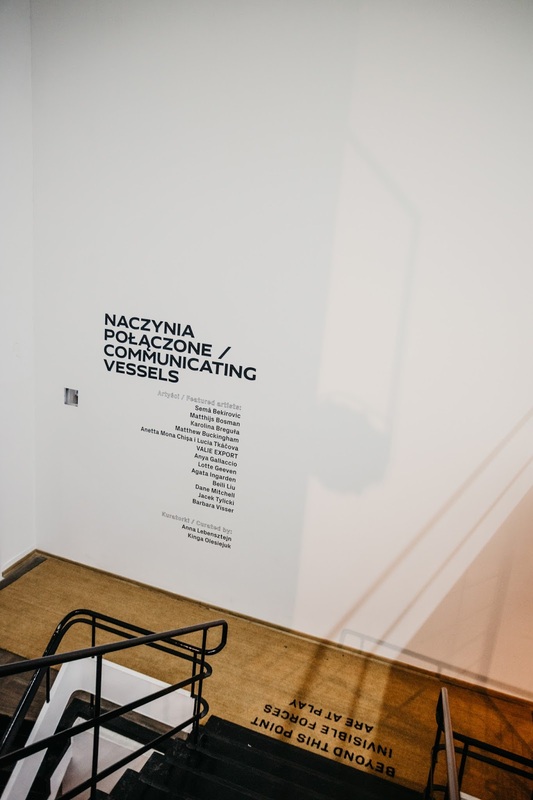 Communicating Vessels revolve around objects and installations constructed as either proceeding transformations or series of events. 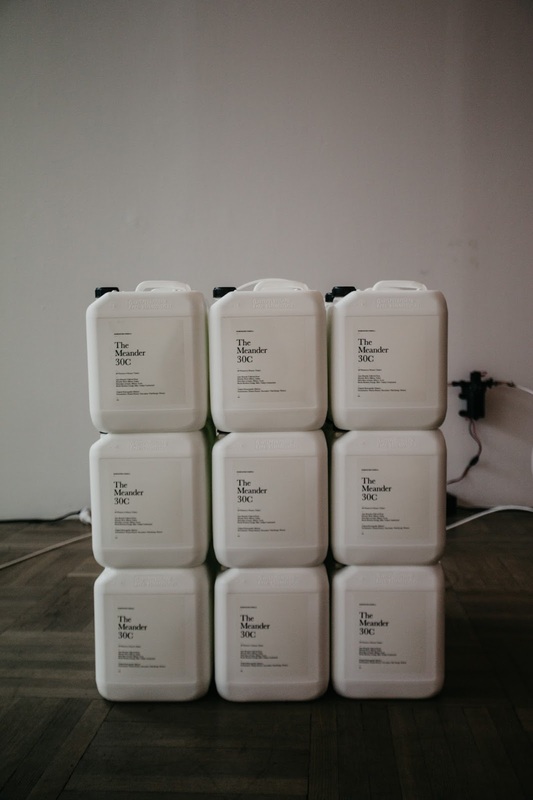 These operate at the border of physical and non-physical dimensions of art; the conceptual plane, which determines the laws regulating their existence, is of no less importance to them than the expressive corporeal aspect. The latter is designed to be destabilized because of compositions’ structural properties or under external factors affecting them. The peculiarity of process-oriented works is comparable with the behavior of liquids contained in a communicating vessel system: transformation-susceptible matter circulates and takes forms different from the initial ones while their nature stands unchanged. Shifts inside the system are an effect of the dynamics a given substance demonstrates as well as a result of environmental or human elements’ impact. In consequence an array of interconnections is formed where various factors may prevail, including the work itself and its immediate surroundings, the creator’s gesture, and the viewer’s decisions. Gunge that smells of burnt sugar, clouds of vapor, the odor of decomposing plants, heat accelerating the decay of photographic emulsion… Process-oriented works of art, although dealing mostly with the problems of loss and disappearance, are deeply rooted in the physicality of employed matter. 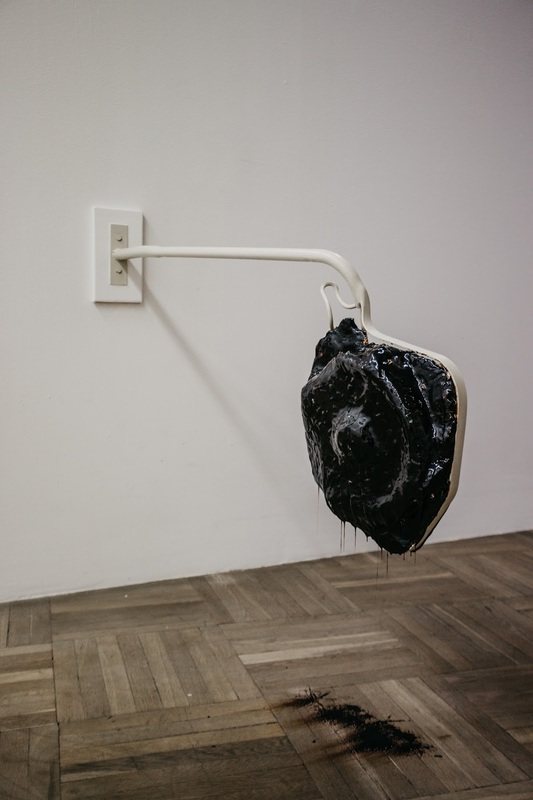 Artists probe the limits of materials’ strength, bringing them to extreme states, and initiate processes that lead to their eventual disintegration. They do so utilizing both the inherent impermanence of a given medium and its susceptibility to damage caused by the environment. They create objects that may endanger any items exhibited nearby. Unveiling the material tissue of artworks, authors at once release stimuli that arouse the sensuality of cognition. Wear and destruction of matter enhance the impressions’ intensity, setting off the carnal awareness of existence. 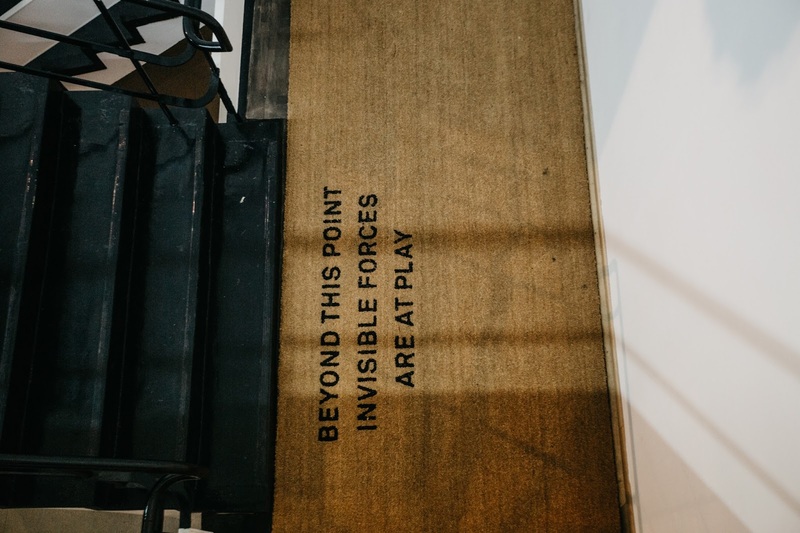 A coconut fibre floor mat with the following words printed on it: “BEYOND THIS POINT INVISIBLE FORCES ARE AT PLAY”. The vaporised homoeopathic solution’s essence is water taken from the Maeander (now Büyük Menderes) river in Asia Minor. Its mouth, into the Aegean Sea, is where the ancient Ionian city of Miletus was located, home of philosopher Thales (ca 624–546 BC), who regarded water as the first principle and origin of all things (arche). The artist cast the objects in burnt caramel which set on steel strips and small brass wires. Displayed continuously and fading, the slide depicts a monument to Absalon, the controversial 12th-century bishop and legendary founder of Copenhagen. Famous for being exceptionally cultured and intelligent, at the same time he set himself apart with unusual brutality when commanding military expeditions against pagans. He also commissioned the first written history of Denmark, which only sheds light on the brighter side of his accomplishments. 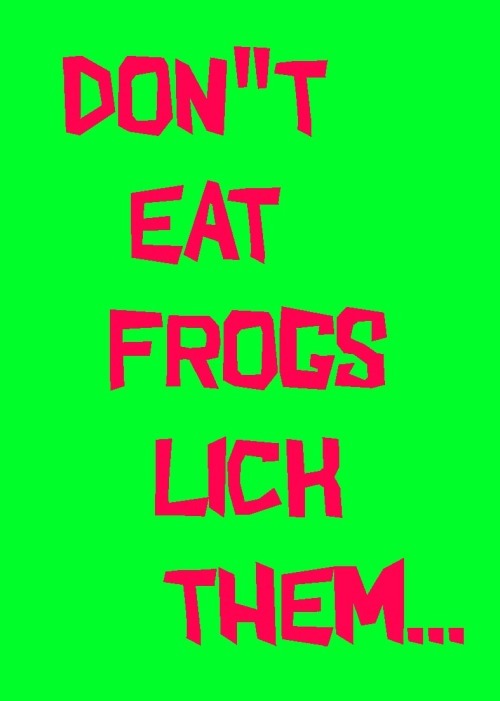 Courtesy of Daniel Marzona and the Artist. 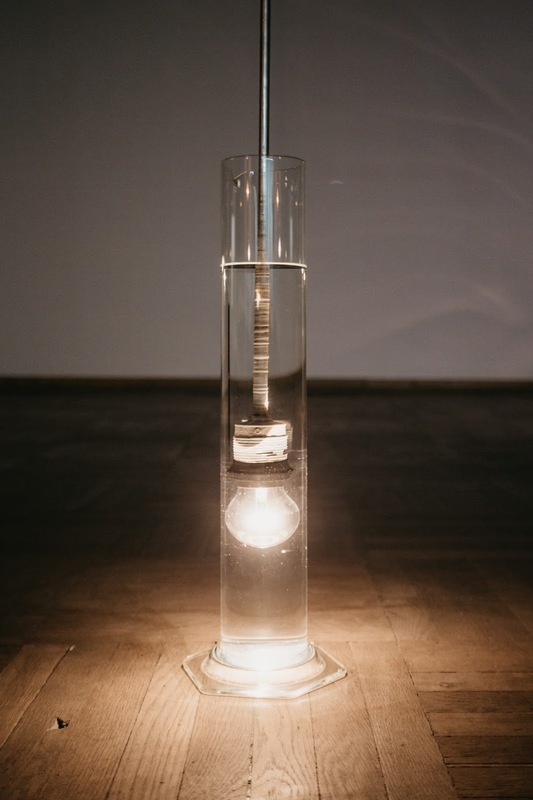 Steel rods with light bulbs attached to their ends plunge, in repetitive mechanical motion, into glass cylinders filled with various liquids: milk, water and used engine oil. 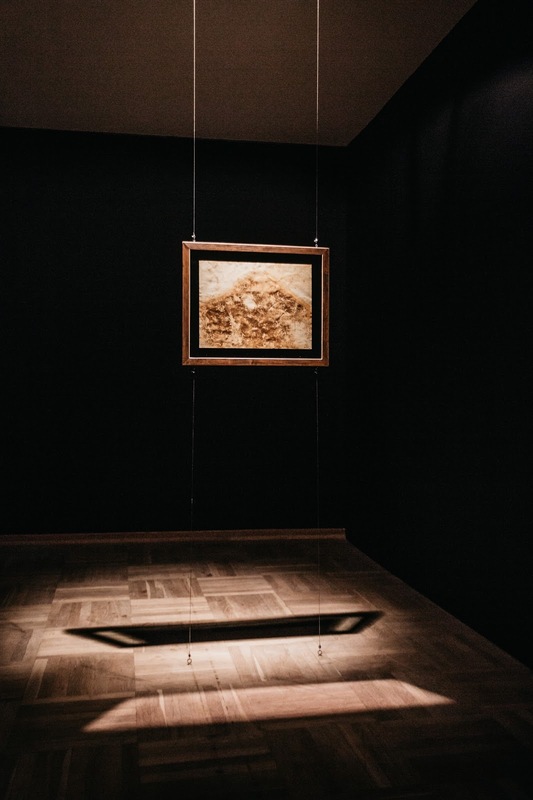 Work from the collection of MWW – Wrocław Contemporary Museum. 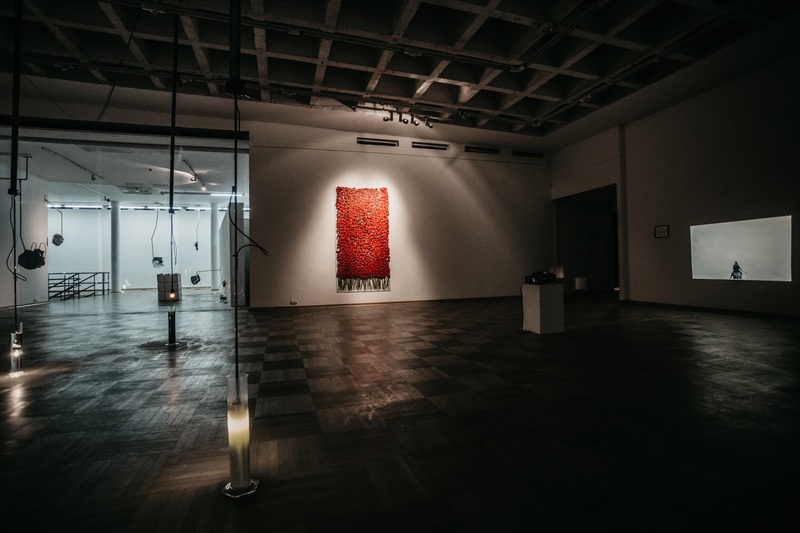 Five hundred Gerbera flowers of the “Beauty” variety—now hardly ever grown but once valued for its visual qualities—steadily transform in time and subject to the exhibition’s environment, affected by such factors as light, heat, moisture and bacteria. 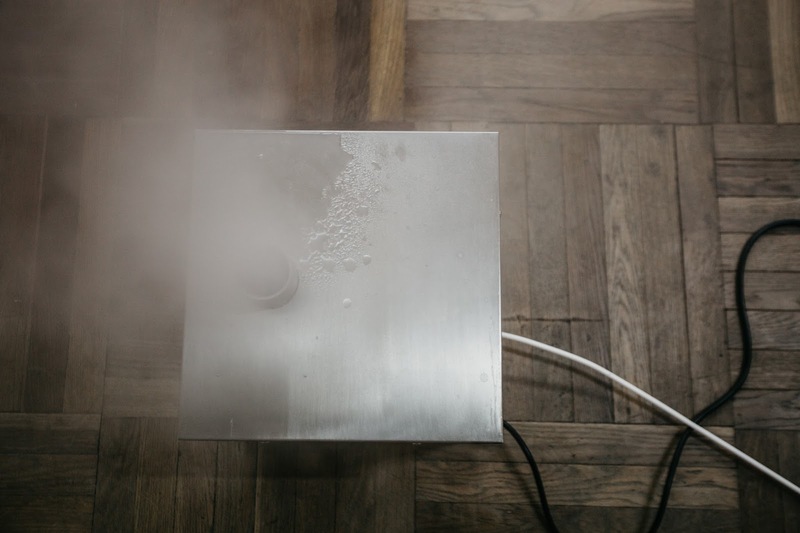 Process-oriented artistic projects raise questions of who is behind the contrived situation and to what extent it is acceptable. By doing so they make the artist the centre of attention. 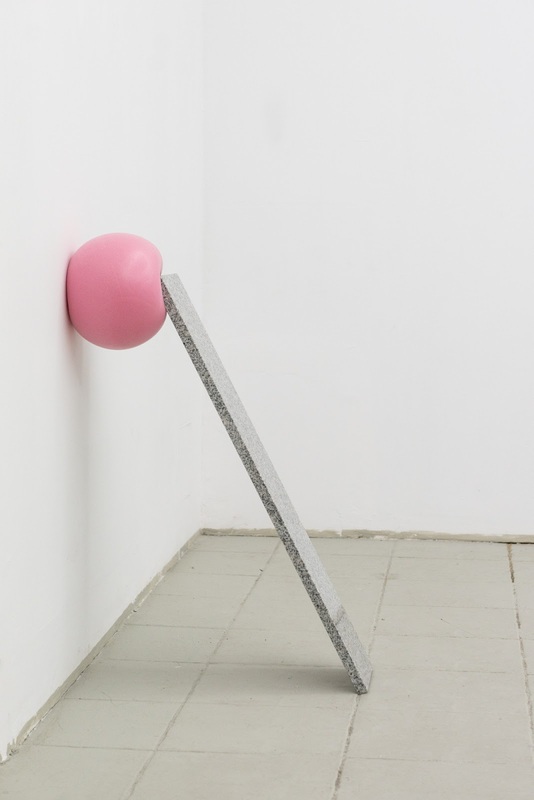 The strategies for working with unstable matter he or she pursues determine the work’s living rhythm: they define a narrower or wider scope within which to interact with it freely, and assume a less or more significant effect on its further existence. 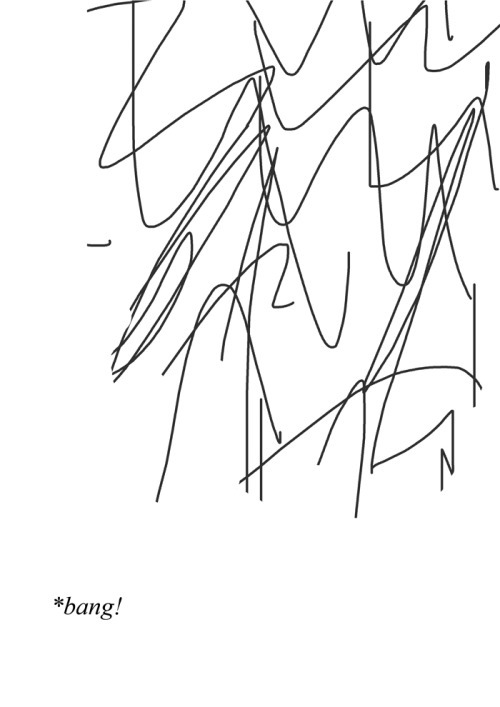 The author’s decisions may consist in just indicating arbitrarily the ideal physical state of an object, making one aware what power lies with an artistic gesture. The opposite situation is possible too, when the artist, having initiated a certain process, at some point withdraws from steering its course. Waiving his or her right to control of the matter, the creator puts it at the mercy of chance, nature or another human being. He or she then makes do with the final result or entirely gives up the keeping track of what happens to the piece, which may, as a consequence, take forms the author never expected. 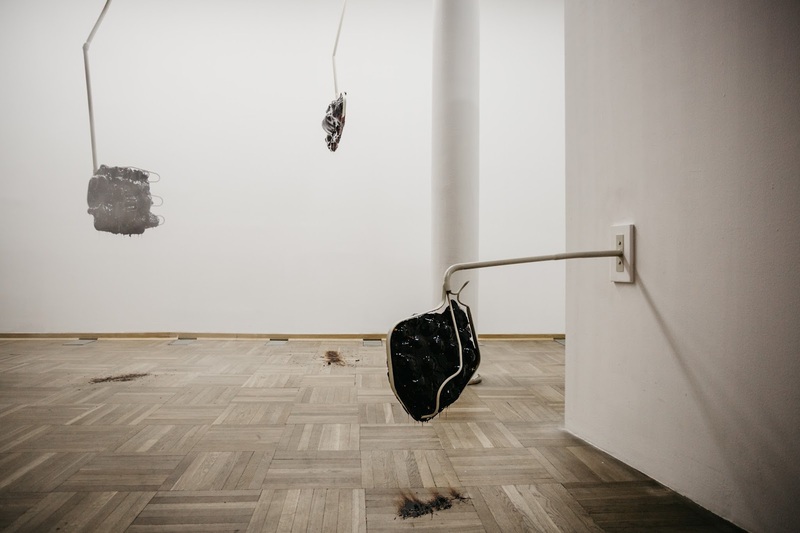 Regardless of how strictly or not the artist controls his or her work, the problem of artistic manipulation emerges, that of distortions affecting how process-oriented art objects are experienced. Some of these create an illusion of involvement, deluding with an opportunity to influence their future—but looking back on that some time later, it may turn out it is the author who has been pulling strings all along. 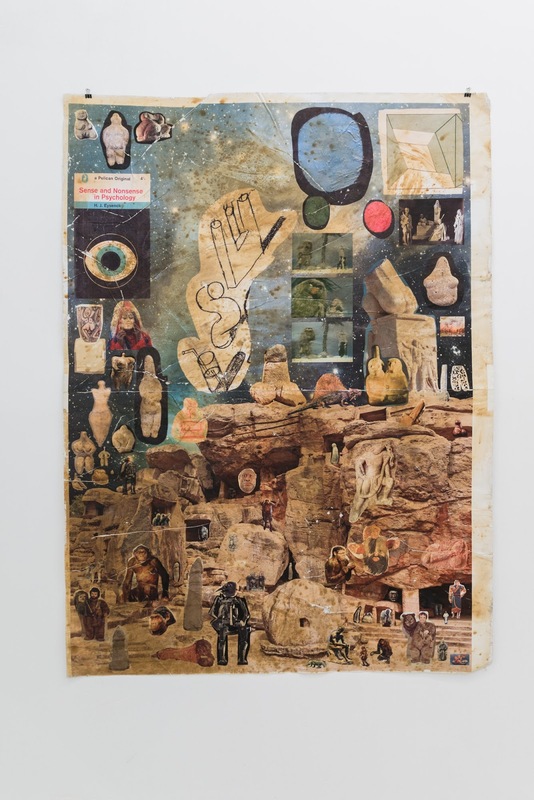 The work in a way documents the Natural Art project initiated by the artist in 1973. 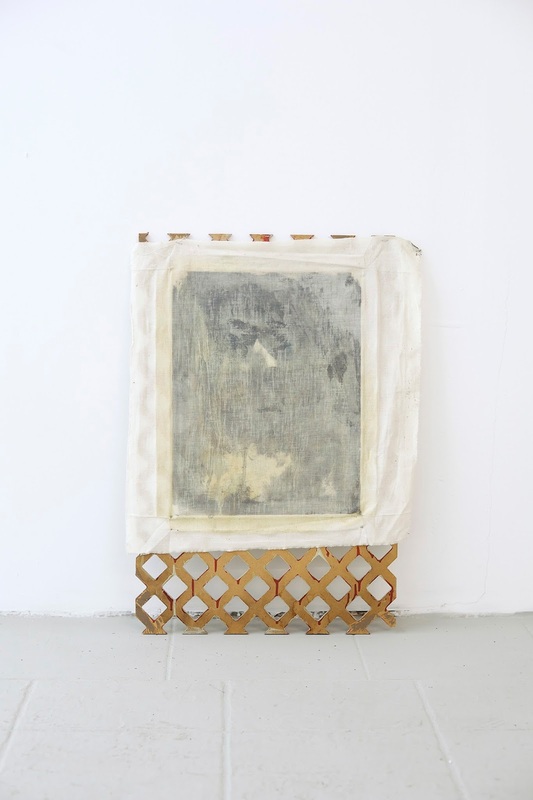 In a process triggered by the author, canvases or sheets of paper were left exposed to environmental factors in different parts of the world, including Poland, Sweden, the US and Oceania. The double-faced original Nature No. 367 is a record of nature’s forces made in 1979 in Iceland. 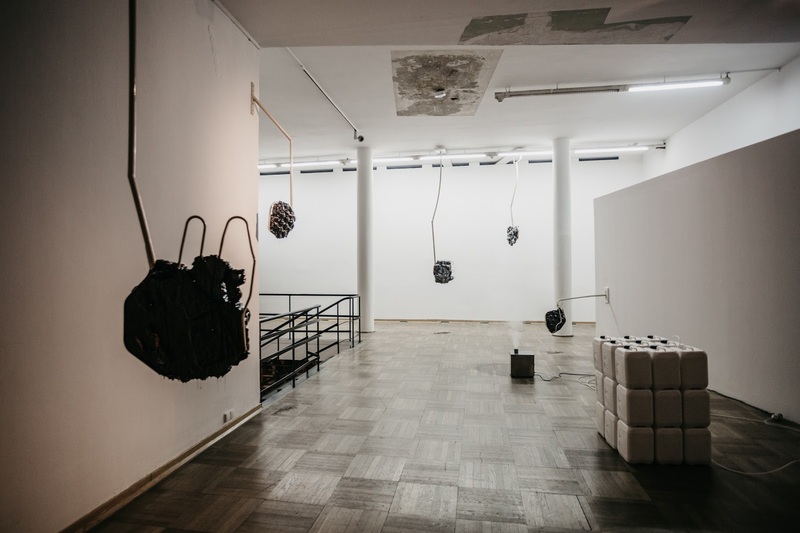 Work from the collection of Bunkier Sztuki Gallery of Contemporary Art in Kraków, acquired as part of the task “Boundaries of Collection. 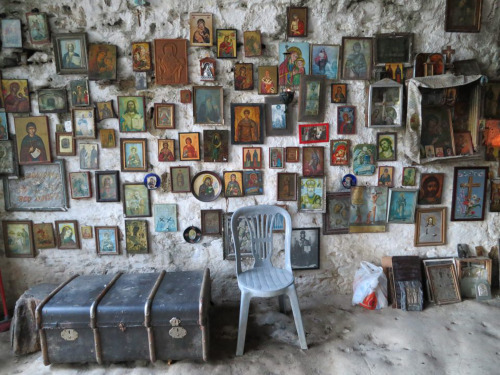 Growth of the Bunkier Sztuki collection”, co-financed with funds of the Ministry of Culture and National Heritage. The video Herbarium was shot inside an abandoned tropical greenhouse located near one of the largest botanical gardens in the Netherlands, that is Arboretum Belmonte in Wageningen. Courtesy of Annet Gelink Gallery in Amsterdam. The artist subjected photographs of galaxies to partial photochemical treatment: developed but not fixed, they remain sensitive to light. Their display is only possible in a space illuminated with red light, under conditions similar to those created in a photographer’s darkroom. 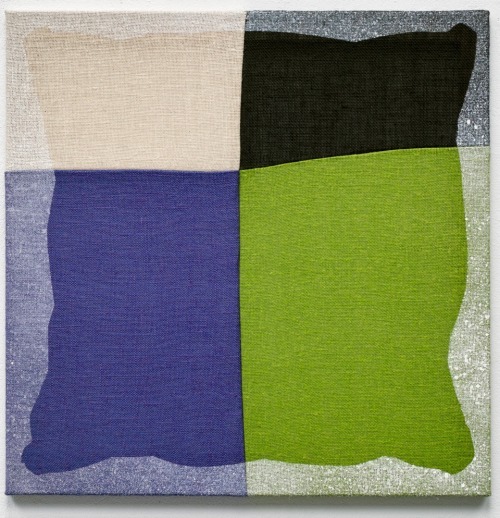 Works employing the creative potential that lies in change often await the viewer’s cooperation. He or she plays an important role in their life cycle, being able to influence the dynamics of transformation and so bring about an alteration, distortion or wear of the artwork’s physical form. 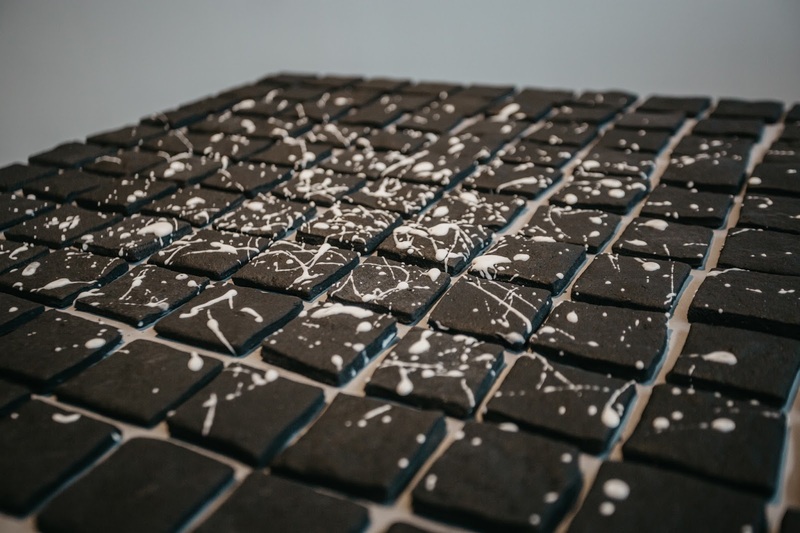 In many instances, faced with the choice between destroying a piece and leaving it intact, he or she unsuspectingly fulfills a predetermined course of events; elsewhere, successive stages of the work’s development are triggered off by him- or herself deliberately. 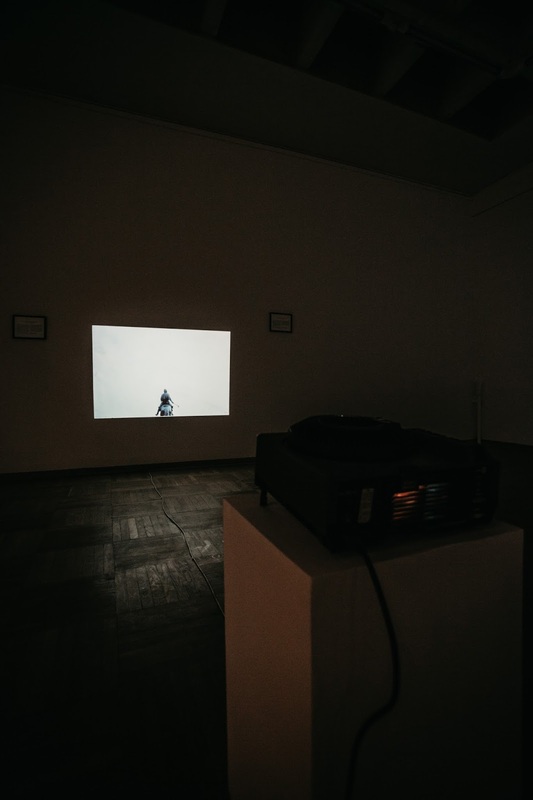 The viewer’s figure takes a peculiar shape in the light of any narrative-oriented piece, becoming not only a carrier of the given account but also a contributor, expected to introduce an original element in order to advance its evolution into quite a different story. 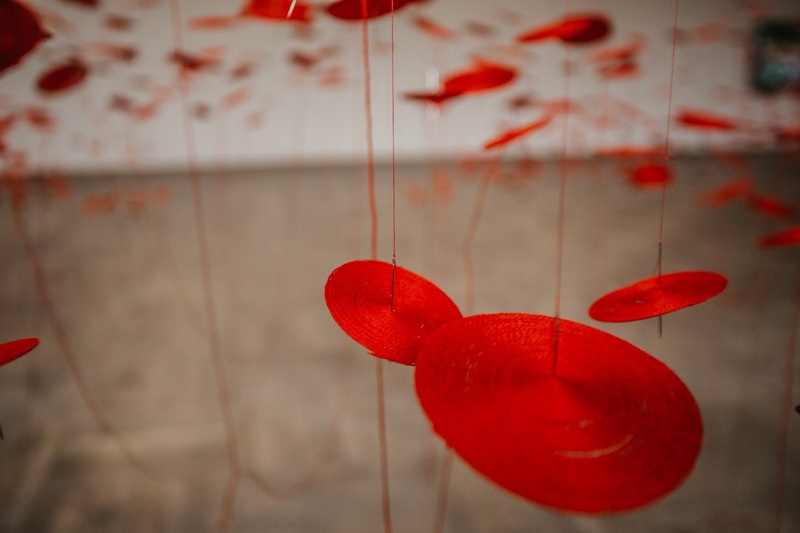 An installation made of coils of red wool, inspired by an ancient Chinese myth saying that people, when born, are joined with their soul mates by invisible red threads, and that it is these links which allow them to finally find each other despite any adversities. 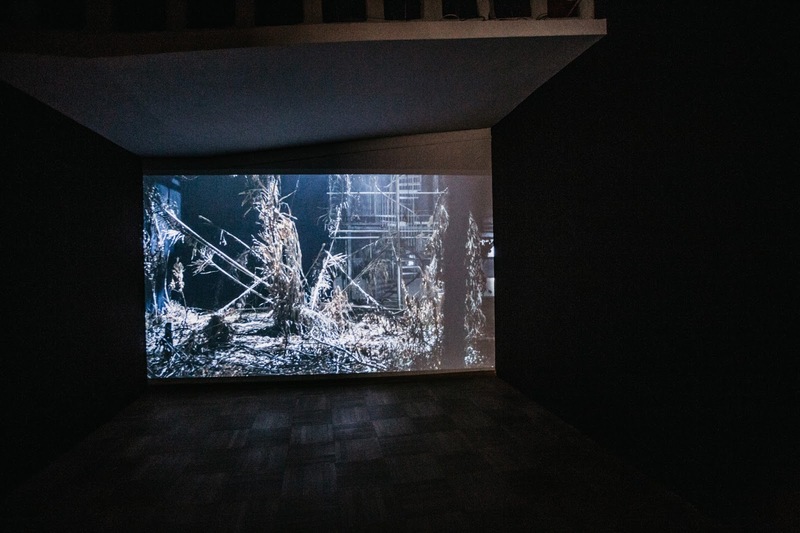 The composition is arranged anew for each presentation, with the artist’s participation, so that it is adapted to the volume and architecture of the given exhibition space. The starting point for the work was an invitation to participate in the International Sculpture and Painting Symposium Dakar Senegal. 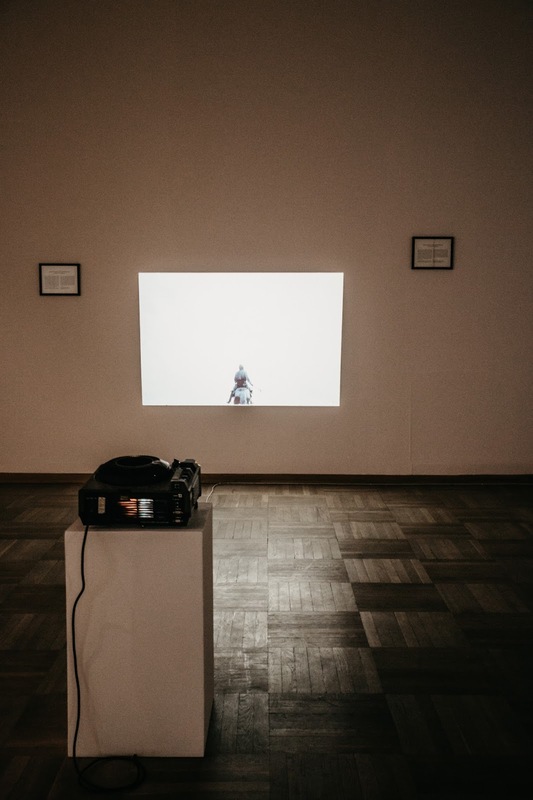 Its organisers’ formal requirements aroused the artists’ suspicions—they were expected to have their selected works sent to Dakar as well as to pay registration fees of a considerable amount. 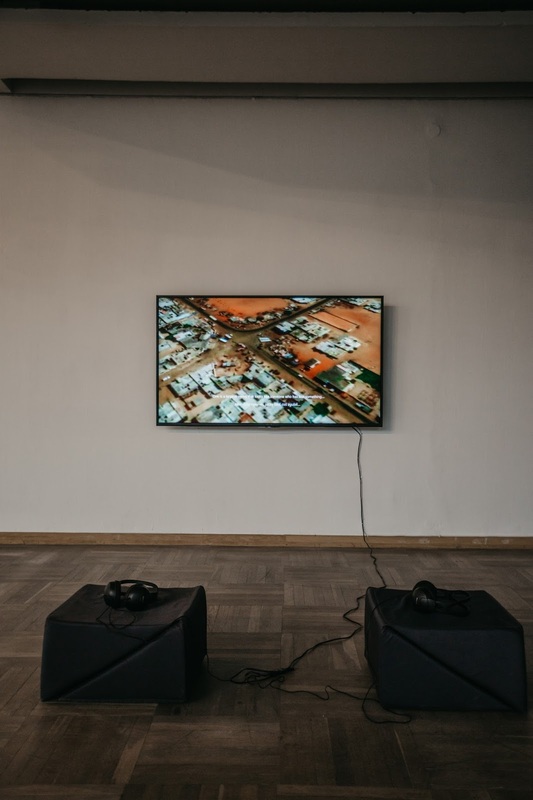 So, the artists launched an investigation: before the dispatch they fitted the pieces with a GPS transmitter, which was to lead them to Senegal’s capital indeed. But then, asking around the town’s inhabitants, local artists and even fortune-tellers about the missing works turned outto be of no avail. Semâ and Lotte’s Senegalese guide Omar eventually mentioned to them the griots, West African bards who orally pass down stories from generation to generation. At the artists’ request, Omar was supposed to visit his home village griot and ask him to compose a song for Dakar’s lost collection. 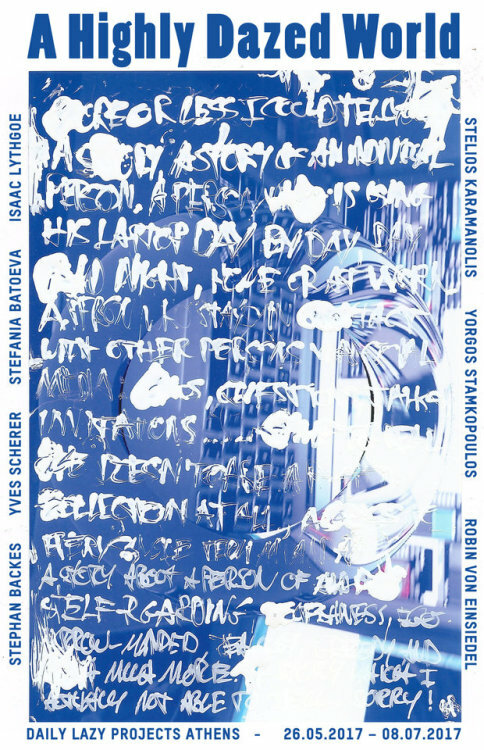 Material for a new version of the tale—originally invented in 2006 for the Short Stories show in Amsterdam’s W139 gallery—consisted of accounts collected during a few days’ residency in Kraków. Once unleashed by the author, the anecdote is incidentally passed on to subsequent listeners. 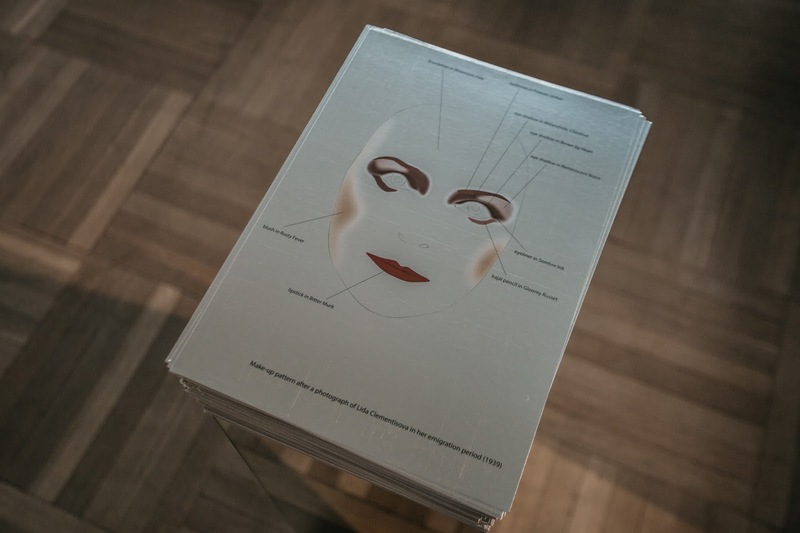 The project invokes an almost forgotten Czech opera singer, wife to Vladimir Clementis—Slovak opposition politician and victim of Stalinist era purge in 1950s. 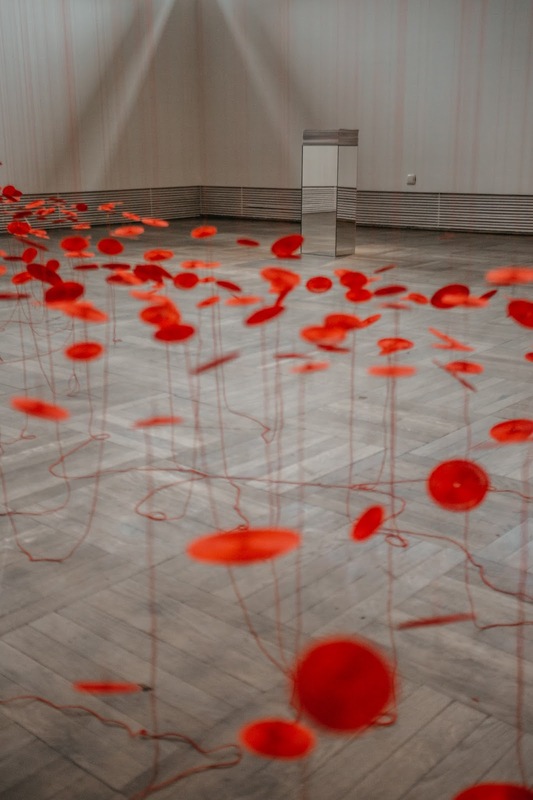 Having shared with her husband the tragedy of imprisonment and torture, Lida devoted the rest of her life to immortalising Vladimir’s services for democracy; she has not entered the collective memory herself. 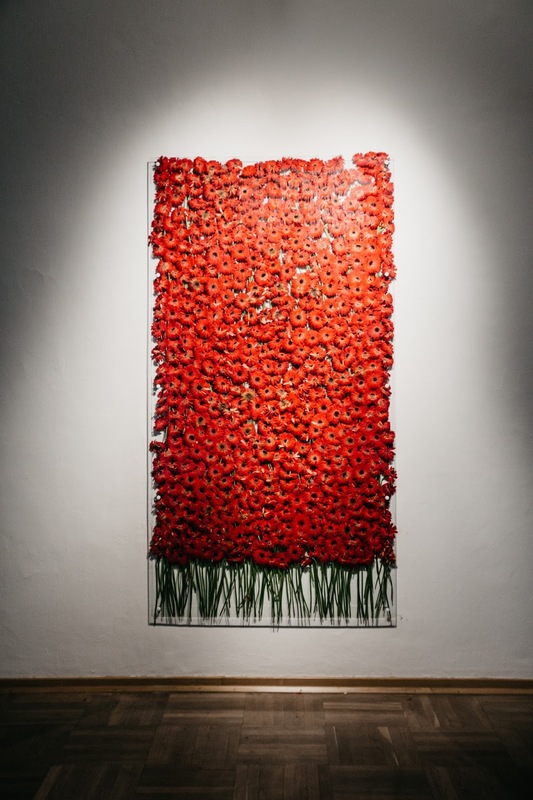 Memorials designed by the artists subtly give back the heroine her due place in history. 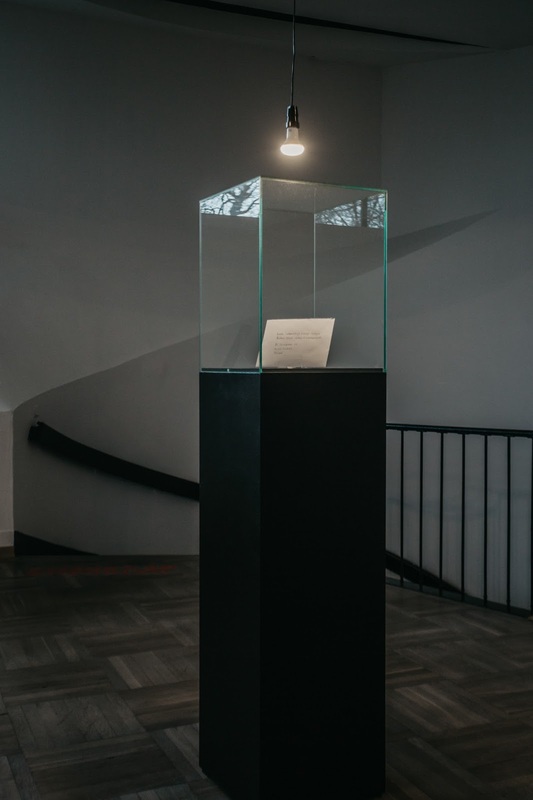 One of these variations consisted in planting species of Clematis around monuments existing in the public space; another, in creating, out of letters the couple exchanged when imprisoned, a musical score to be performed by the viewer. Memorial bearing the number 16 is reconstructed based on a photographic portrait of Lida made in her emigration period. 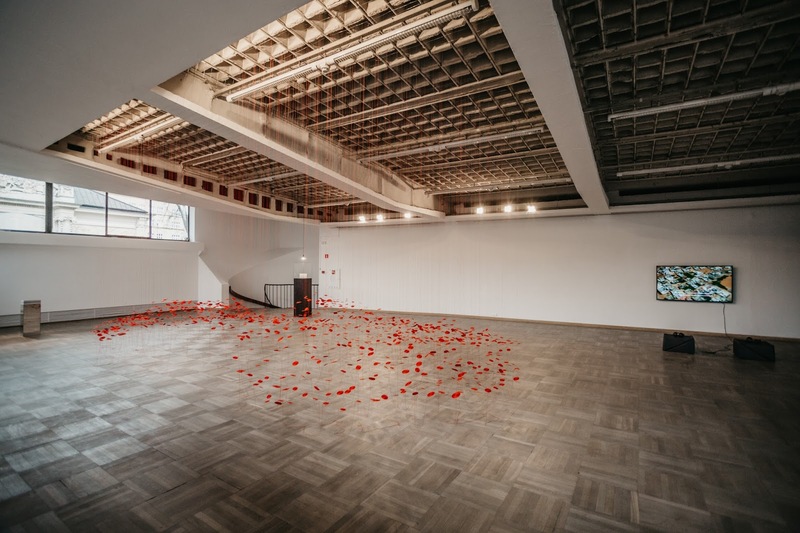 The piece alludes to the destruction of Martin Kippenberger’s installation When It Starts Dripping from the Ceiling: on show in 2011 at the Museum Ostwall in Dortmund, it was damaged by the cleaning lady who removed planned residue from one of its parts. The museum has not commented much on that irreplaceable loss. It is worth noting that this unit is run in line with Alexander Dorner’s theory that institutions should operate like dynamic power plants—generate buoyant energy indispensable for responding to changes in the social order. 1 Gustav Metzger, Manifesto Auto-Destructive in Destruction, ed. S. Spieker (Whitechapel Gallery: London, The MIT Press: Cambridge, Massachusetts, 2017), 88. 2 Idem, Auto-Destructive Art Machine Art Auto-Creative in Destruction, op. cit., 88. 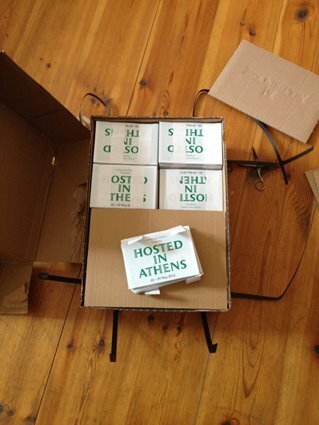 3 See Alain Badiou, Destruction, Negation, Subtraction in The Scandal of Self-Contradiction: Pasolini’s Multistable Subjectivities, Traditions, Geographies, ed. L. di Blasi, M. Gragnolati, Ch.F.E. Holzhey (Vienna/Berlin, 2012), 269–271. Intensity of flows is most apparent in works made of impermanent substances, where change is due to their inherent features and outside influence. 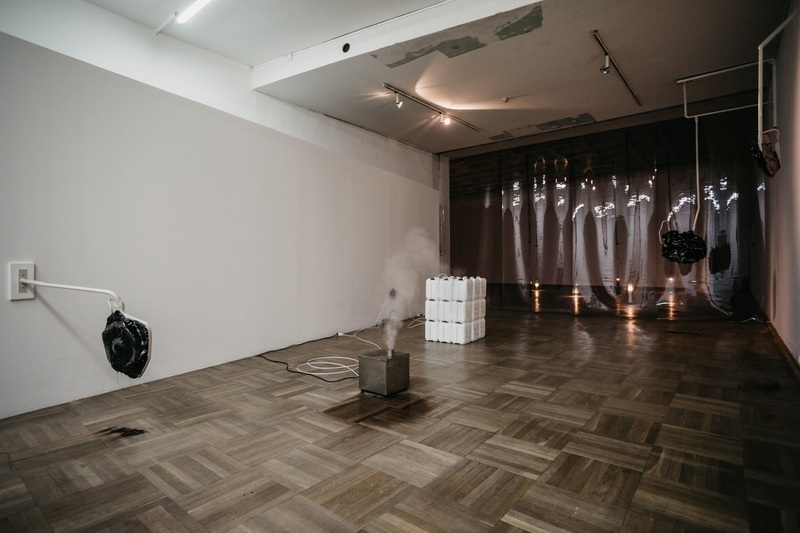 Such pieces fulfill various strategies of interaction with unstable matter, either being subjected to the laws of physicality or overcoming them. Some works fade, which is observable in the shorter or longer run. 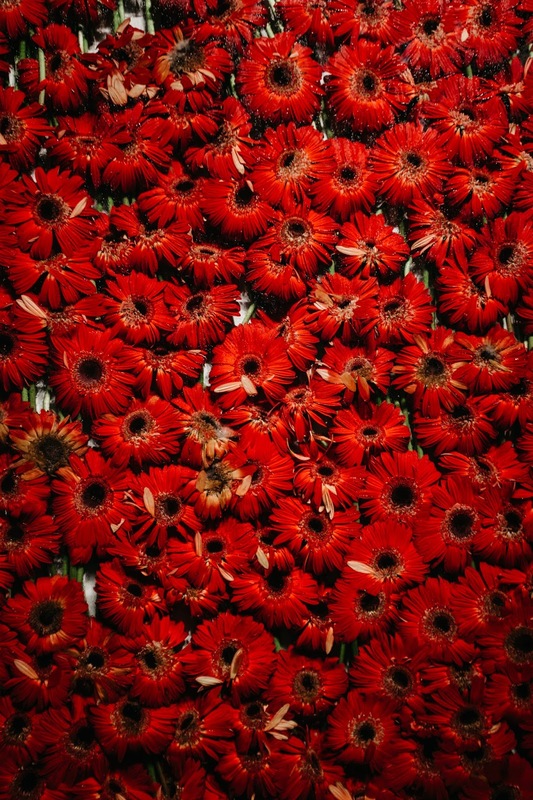 Several hundred blood-red Gerbera flowers constituting Anya Gallaccio’s Preserve ‘Beauty’ slowly wither and pale. The mythical Copenhagen’s founder’s likeness displayed by Matthew Buckingham burns out gradually (Image of Absalon to Be Projected Until It Vanishes). 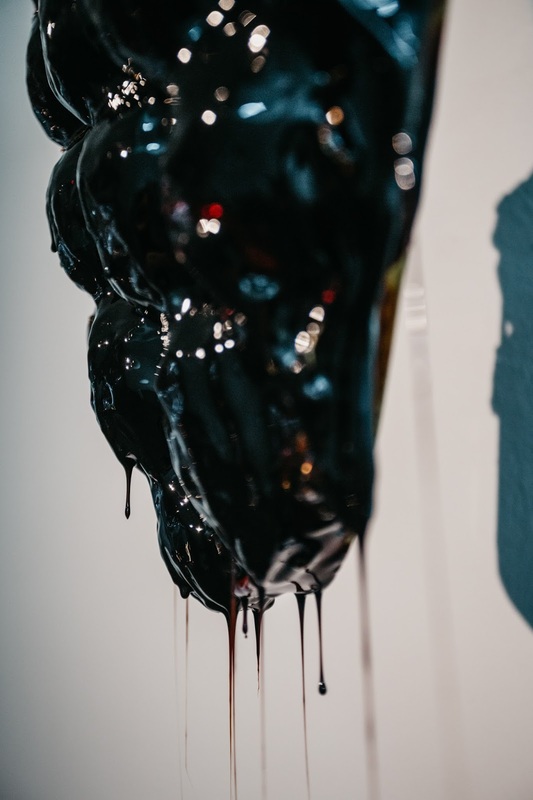 Dane Mitchell’s installation All Whatness Is Wetness, based on evaporation of water and on the rules of homoeopathy, affects caramel-made sculptures by Agata Ingarden: by plasticising them it entails the risk of their transformation. 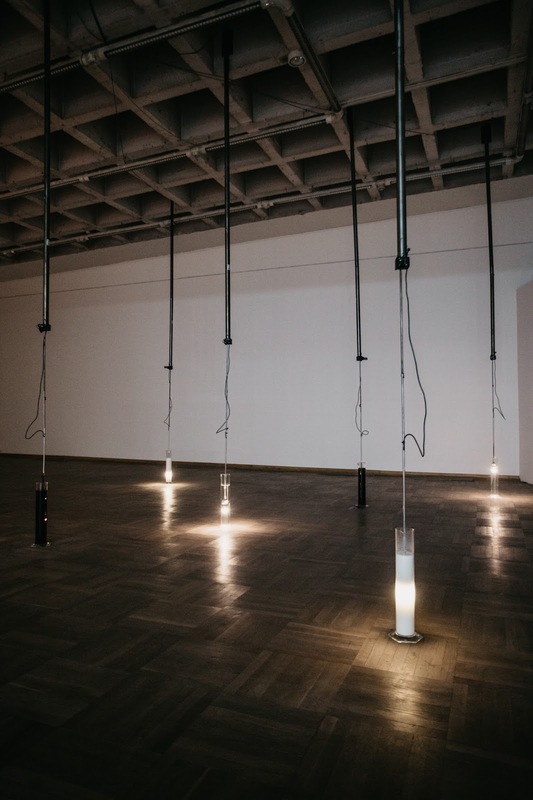 But to transition into another state is never an irretrievable loss; rather, it is just a stage in the works’ cycle of disappearance and return symbolically commented on by VALIE EXPORT’s Fragmente der Bilder einer Berührung, an installation looped in mechanically repetitive motion. Central to designing the living rhythm of a work is the author’s figure. His or her decisions may come down to suspending a process in order to make us aware what power lies with an artistic gesture. 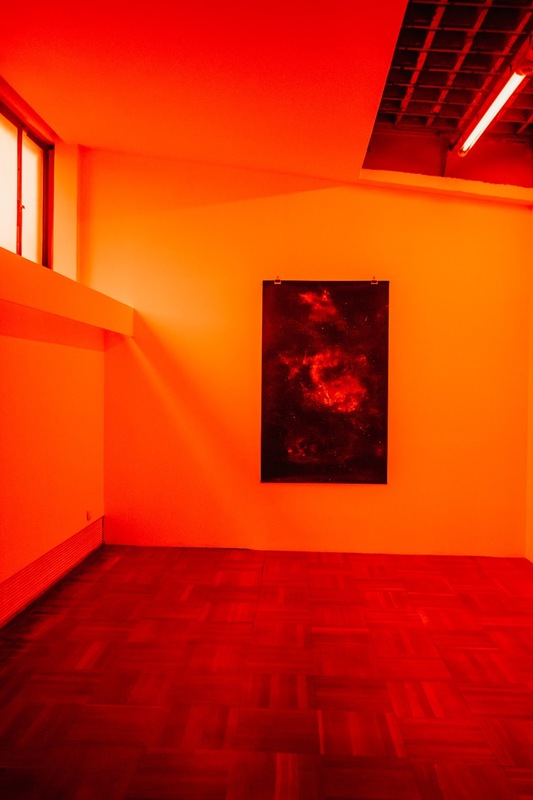 It happens so in Semâ Bekirovic’s installation Unfixed Galaxies, presenting photographs of the universe, not fixed, in the dim red light of a darkroom. The opposite situation is possible too, as suggested by the piece Nature No.367 – Genesis by Jacek Tylicki, where the author waives his right to control of the matter and instead puts it at nature’s mercy. Regardless of the extent to which results are controlled, artistic manipulations emerge—after all, someone must have pulled the strings for the show to go on. 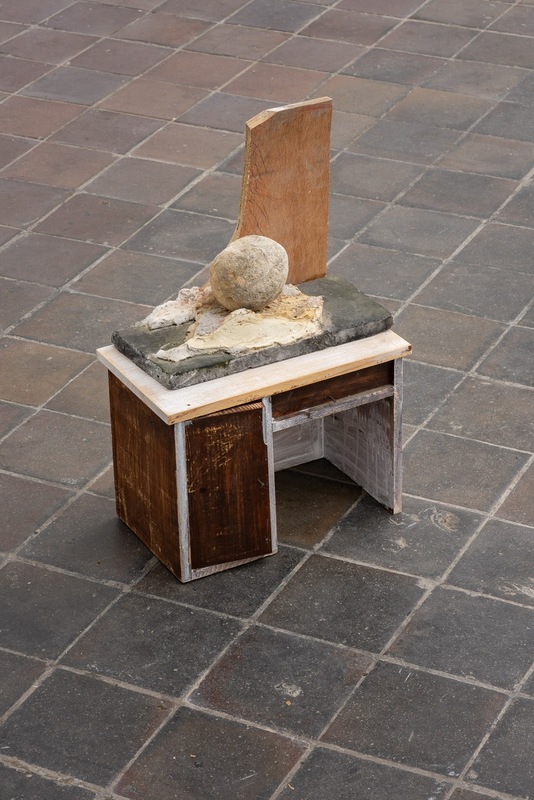 The works Kippenberger Cookies by Karolina Breguła and Nature No.367 – Genesis by Jacek Tylicki have been acquired for the collection of the Bunkier Sztuki Gallery as part of the project “Boundaries of Collection. 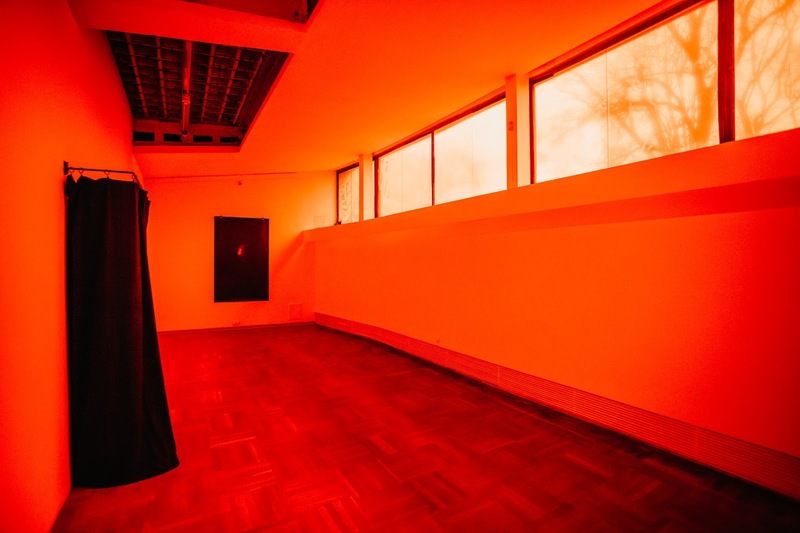 Growth of the Bunkier Sztuki collection”, co-financed with funds of the Ministry of Culture and National Heritage. 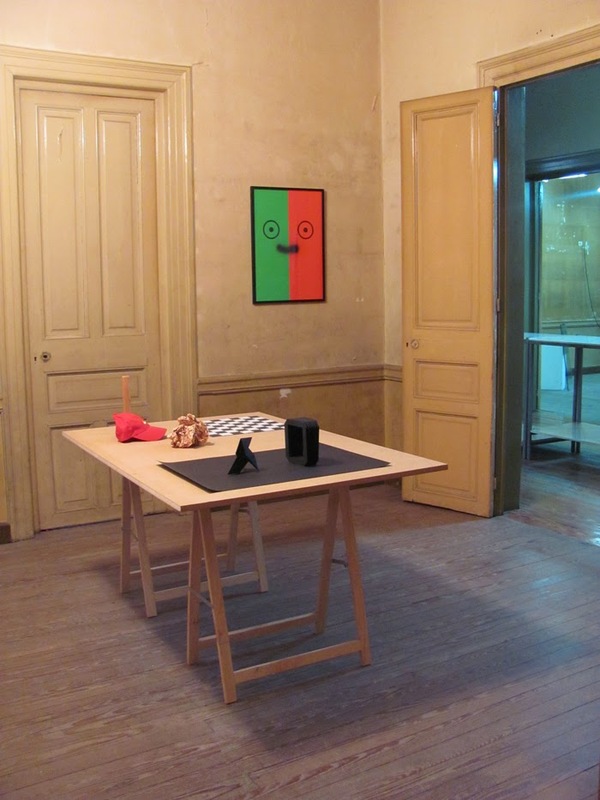 The exhibition is part of the project “Beyond the Zero Point. 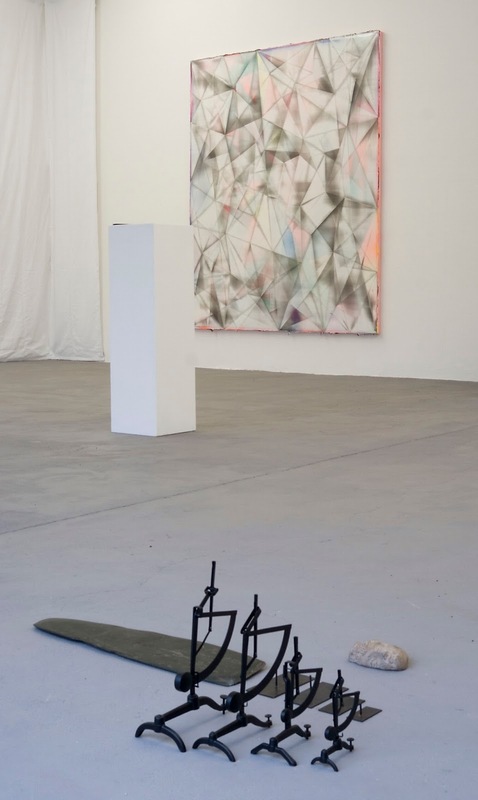 Contemporary Art and Its Appearances”, co-financed by the Mondriaan Fund.